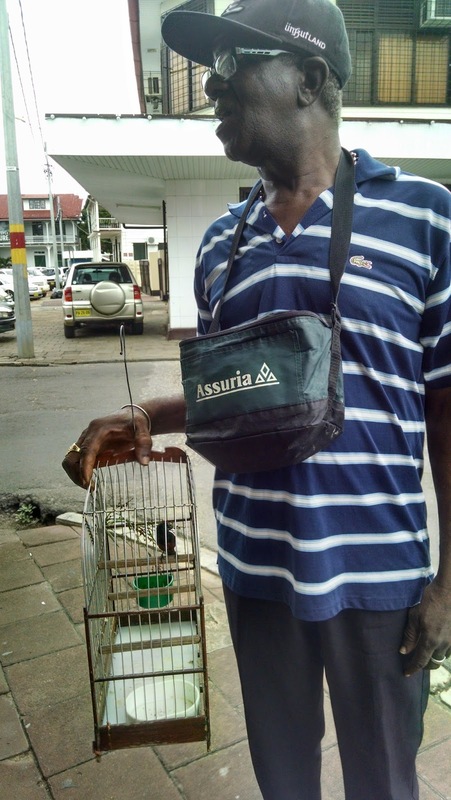 While in Suriname, everywhere we went we saw birdcages. We saw people carrying them while taking walks, we saw them hanging in cars and markets, we saw them strapped to people's backs when on scooters on the highway. 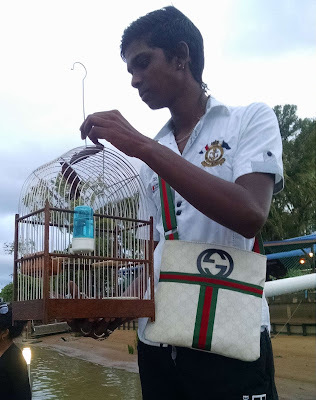 Curious about these strange sights, we asked someone who was walking his bird about it. We learned that every Sunday, in Paramaribo, there is a bird-singing contest. It is a big event, with many people attending. People keep their birds out in the open so they get used to loud noises and crowds, and they can sing when the time comes. 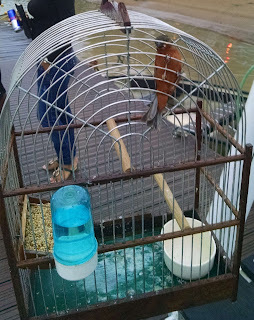 A while later, when we talked to someone else, we learned really how important these birds are to the locals. 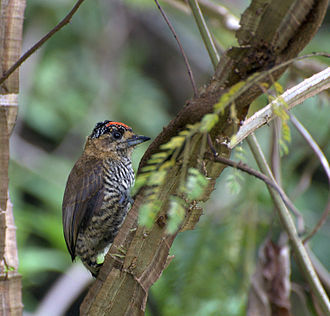 The White-Barred Piculet inhabits northeast South America. This is not the only species of Piculet, but one of the birds we saw up close was this species. It has a black crown, dull brown upperparts and cheek patches, and white underparts barred with black. 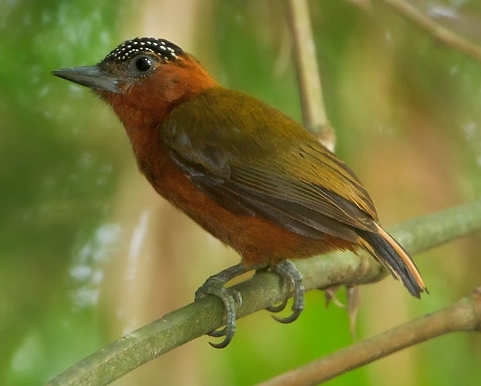 They are basically small woodpeckers, and forage by hammering holes in trees and shrubs. 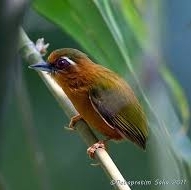 There are around 27 different species of Piculet, and some can cost up to eight thousand US dollars. The bird-song contest must be amazing to hear. Since we didn’t get the chance to go, we don’t have any videos of the event. 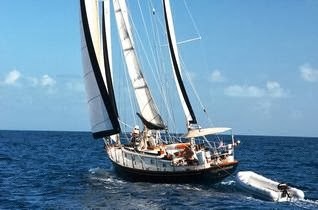 However, there is a site that has audio with the calls of all the Piculets here.